“A law graduate with a knowledge of languages is closer to being a legal translator than a translation graduate. The teaching of law in translation schools does not create legal translators. Courses about law and legal systems in translation schools have as an aim the exposure of the general translator to a multicultural world of which he must have some idea. They are also useful in acquainting the general translator with a field with which he may have to deal at some time in the future. It is of course a step in the right direction to attempt to expose the translation student to a multi-cultural environment, but in no way must this leave the impression that this exposure creates legal translators. Furthermore, there is no way a translator can acquire the deep knowledge of the legal specialised language, the understanding and the legal instinct of two or more legal systems with a simple glossing over during a one-year multi-disciplinary course. The comparison of the translations done by a law graduate (the legal translator) on the one hand and a translation graduate on the other, place the latter at a severe disadvantage. 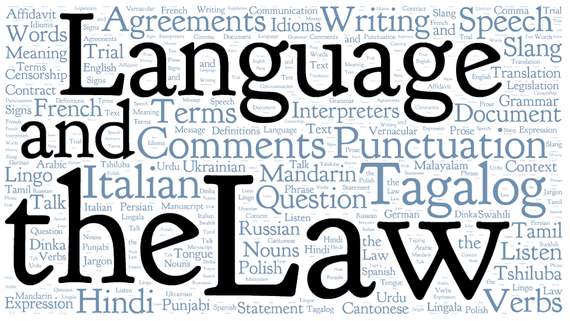 Law demands deliberate long-term study and it is very rare to find a professional translator specialist in legal translation with a law degree and thus with the inevitable background expertise to comprehend and transfer, in a satisfactory manner, a legal text into another language through a due comparison of different legal systems. – Specialised dictionaries, when they exist, are merely an auxiliary tool, there to inspire or remind, but not to guide.